Beginners plunge right in, learning about composition, theme, and design while they paint. 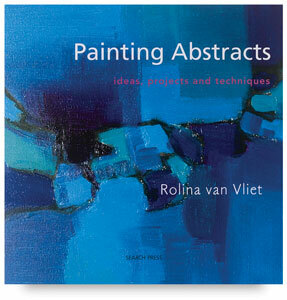 This book provides full instructions for 65 abstract paintings. The history of abstract painting and its importance as a means of self-expression are covered in the guide's beginning pages. For each of the paintings that follow, conventional step-by-step instruction is replaced with information on composition, imagery, method, materials, and technique, allowing the painter to work straight from the book — or make changes according to the flow of creativity. Author — Rolina van Vliet. 8¾" × 8¾" (22 cm × 22 cm).